I recently obtained the newest Dell's Ubuntu developer offering, XPS 13 (2015, model 9343). I opted in for FullHD non-touch display, mostly because of better battery life, the actual no need for higher resolution, and matte screen which is great outside. Touch would have been "nice-to-have", but in my work I don't really need it. 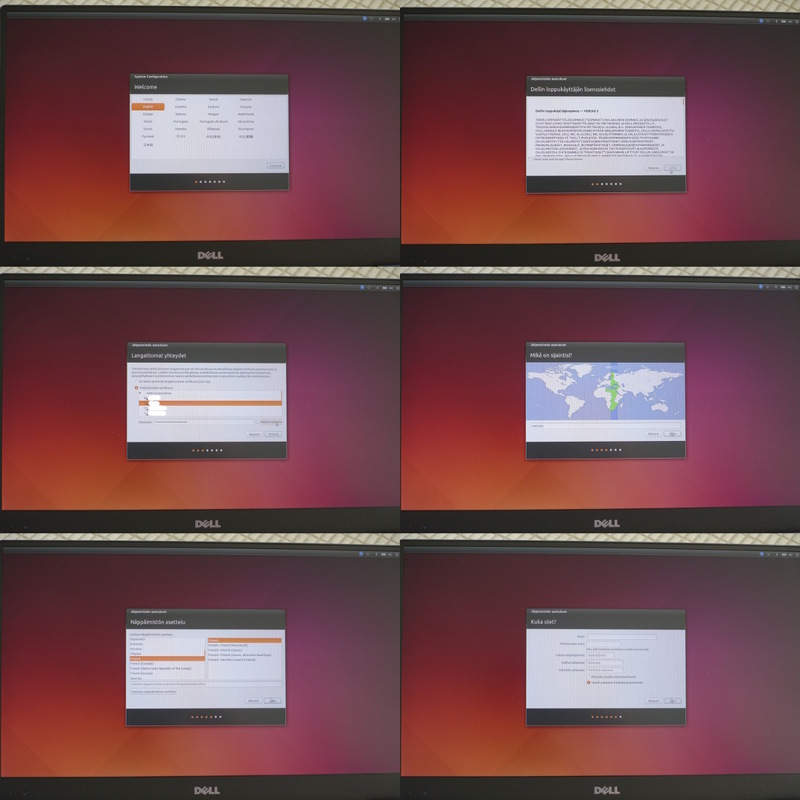 In this blog post I give a quick look on how I started up using it, and do a few observations on the pre-installed Ubuntu included. 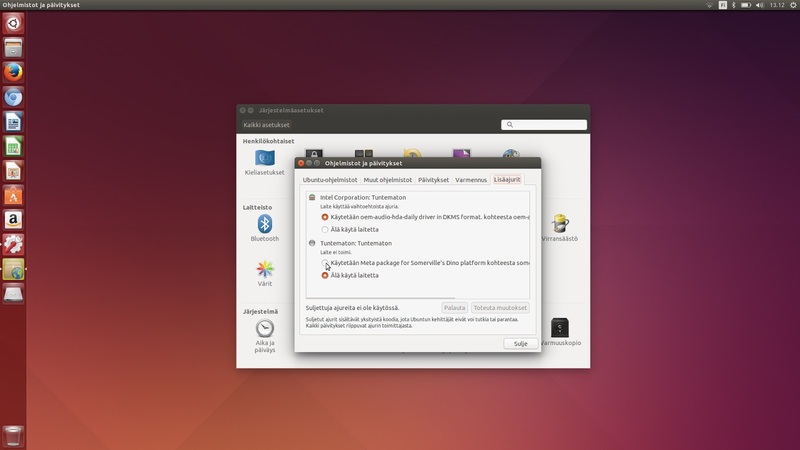 I personally was interested in using the pre-installed Ubuntu like a non-Debian/Ubuntu developer would use it, but Dell has also provided instructions for Ubuntu 15.04, Debian 7.0 and Debian 8.0 advanced users among else. Even if not using the pre-installed Ubuntu, the benefit from buying an Ubuntu laptop is obviously smaller cost and on the other hand contributing to free software (by paying for the hardware enablement engineering done by or purchased by Dell). First time lid opened, no dust here yet! First time boot up, transitioning from the boot logo to a first time Ubuntu video. A small clip from the end of the welcoming video. First time setup. Language, Dell EULA, connecting to WiFi, location, keyboard, user+password. Creating recovery media. I opted not to do this as I had happened to read that it's highly recommended to install upgrades first, including to this tool. Not so recent 14.04 LTS image... lots of updates. 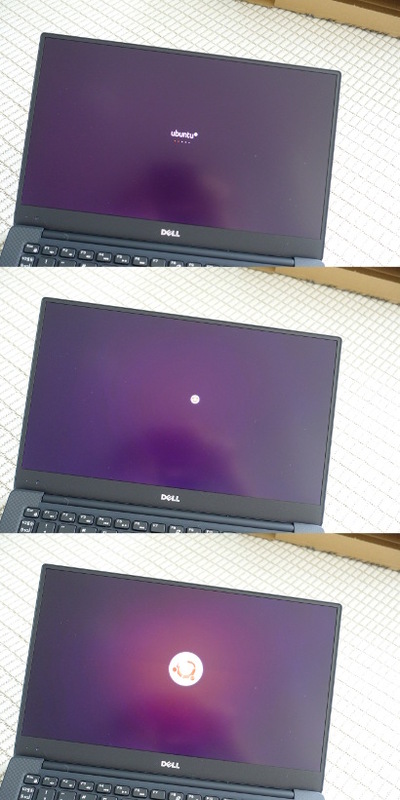 Unfortunately the first batch of XPS 13:s with Ubuntu are going to ship with some problems. They're easy to fix if you know how to, but it's sad that they're there to begin with in the factory image. There is no knowledge when a fixed batch will start shipping - July maybe? First of all, installing software upgrades stops. You need to run the following command via Dash → Terminal once: sudo apt-get install -f (it suggests upgrading libc-dev-bin, libc6-dbg, libc6-dev and udev). After that you can continue running Software Updater as usual, maybe rebooting in between. Secondly, the fixed touchpad driver is included but not enabled by default. 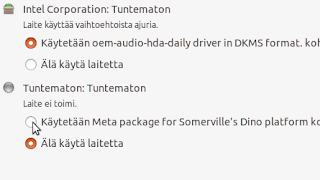 You need to enable the only non-enabled ”Additional Driver” as seen in the picture below or instructed in Youtube. 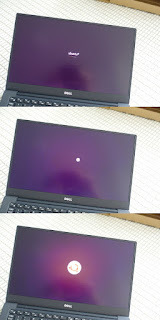 Dialog enabling the touchpad driver. Clarification: you can safely ignore the two paragraphs below, they're just for advanced users like me who want to play with upgraded driver stacks. Dell XPS 13 Developer Edition with Ubuntu 14.04 LTS is an extremely capable laptop + OS combination nearing perfection, but not quite there because of the software problems in the launch pre-install image. The laptop looks great, feels like a quality product should and is very compact for the screen size. I've moved over all my work onto it and everything so far is working smoothly in my day-to-day tasks. I'm staying at Ubuntu 14.04 LTS and using my previous LXC configuration to run the latest Ubuntu and Debian development versions. I've also done some interesting changes already like LUKS In-Place Conversion, converting the pre-installed Ubuntu into whole disk encrypted one (not recommended for the faint hearted, GRUB reconfiguration is a bit of a pain). I look happily forward to working a few productive years with this one!